I've lost count of how many times I've been asked where out-of-towners should eat while in Union Square. 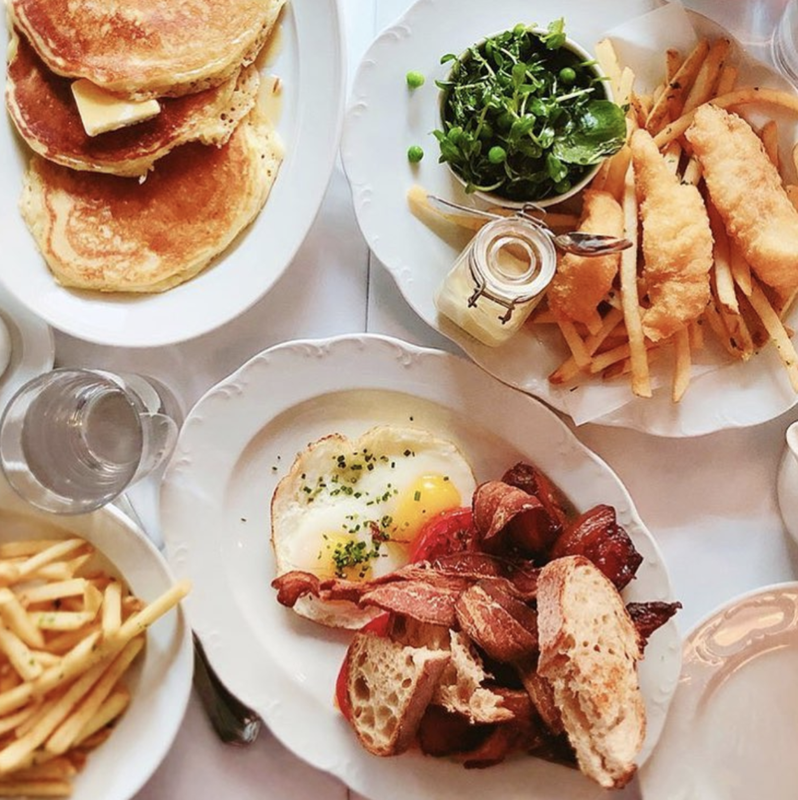 Whether you've spent the day emptying your wallet shopping or you're staying at hotel downtown - you're going to end up in Union Square and you're gonna be hungry. Union Square is notorious for not having the best of options when it comes to dining, at least if you ask a local. Here's a list of solid spots that'll keep you from falling into unappetizing, medicore tourist traps - your belly can thank me later. So here it is: The Union Square dining guide. Hotel-adjacent restaurants tend to feature mediocre breakfast buffets and businessmen talking overly-loudly on phone calls about killer deals they want strangers to know they’ve landed. Tratto is the exception to that rule. The bar is perfect for drinks and light bites, and the Italian classics on the menu are ‘eccellente’. In fact, it’s easy to forget this place is attached to a hotel, until you take a trip to the bathroom through the hotel lobby, in which case hold on to your bag before a porter attempts to whisk it away. Dirty Habit is one of my favorite places in San Francisco. Whenever I need a chic place to take out of town guests or host a special event, I go straight to Dirty Habit. With a fully-heated outdoor patio that's perched five floors above the streets of San Francisco's bustling SOMA district, Dirty Habit is an intimate hideaway within the Hotel Zelos. 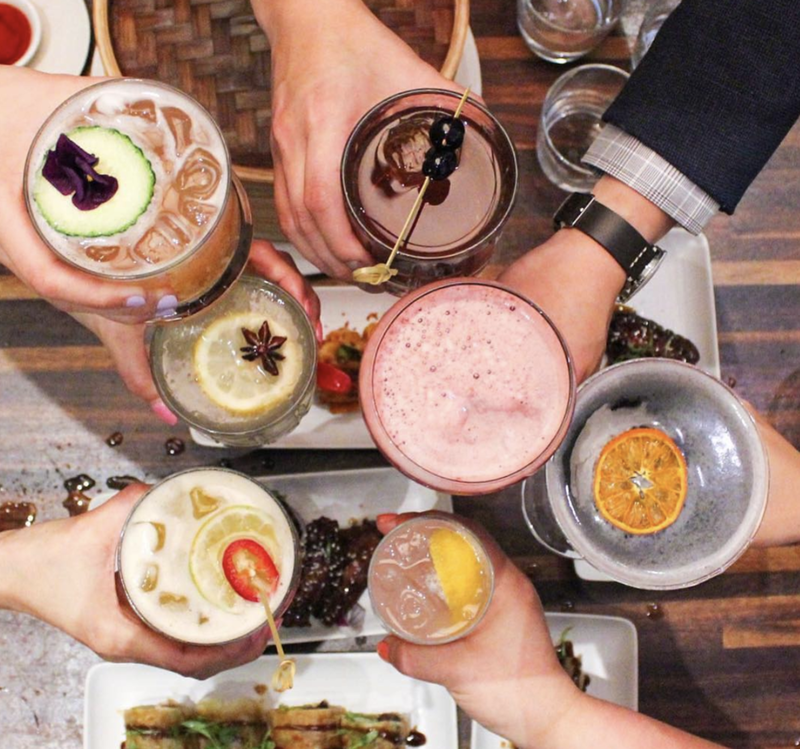 The cocktail focused menu features drinks focused around finding your very own dirty habit. Just off of Market Street and high end shopping at Union Square, Dirty Habit's alluring ambiance is as distinctive as one would expect to find at the Hotel Zelos. This bar-centric concept plays host to shareable, seasonal cuisine and a creative craft cocktail menu with an emphasis on rare brown spirits. Tropisueño provides solid Mexican food in a no-frills, inviting setting. 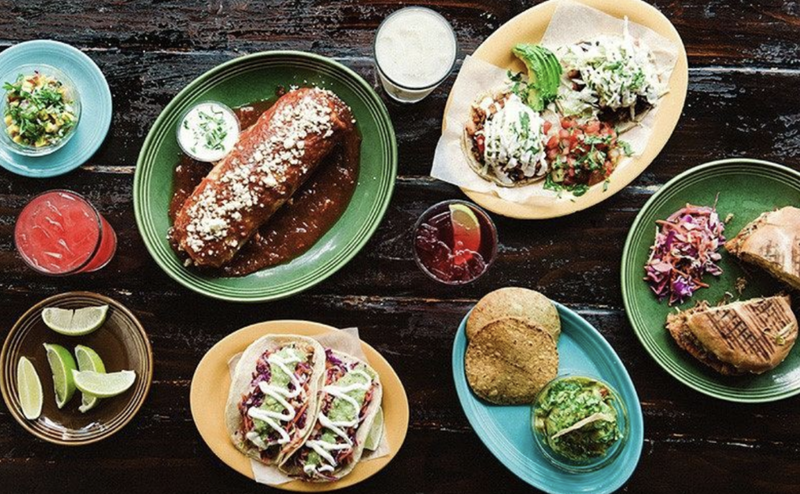 The restaurant is esigned to offer quick and easy Taqueria fare and a full-service Mexican restaurant all under one roof. At Lunch, you will find a Mission style taqueria and at night, you'll have a but more of an upscale feel. Both environments offer an extensive menu with burritos, tacos, tortas and all those Mexican bebidas we all know and love. Have you ever joined a waiting line purely because you assumed there’d be something worthwhile at the end? In Union Square, sometimes that line ends with delicious ramen, and sometimes it’s a Justin Guarini meet-and-greet. Thankfully, in Mensho’s case it’s the former, and it’s worth the wait. This place is small and sparse inside, but you’re here for the spicy lamb ramen, so focus all your attention on that. Guarini will surely pop up again if you feel you’ve missed out. I'm a sucker for a Chinatown. I'm not quite sure why, but any city that has a Chinatown is likely to have had a visit from me. Mister Jiu's is a beautifully decorated and swanky Michelin experience serving up Chinese food with a modern Californian spin. The food is incredible, the ambiance is adorable and the view of Chinatown is just perfect. Be sure to make reservations and request a window seat. You're gonna want to Instagram the view of the lanterns when they're lit up. Pakwan is a simple, inexpensive Pakistani-Indian option very close to Union Square, and it always comes through for us. The menu is full of classics like tandoori dishes and curries, and it’s perfect for a casual meal with friends. 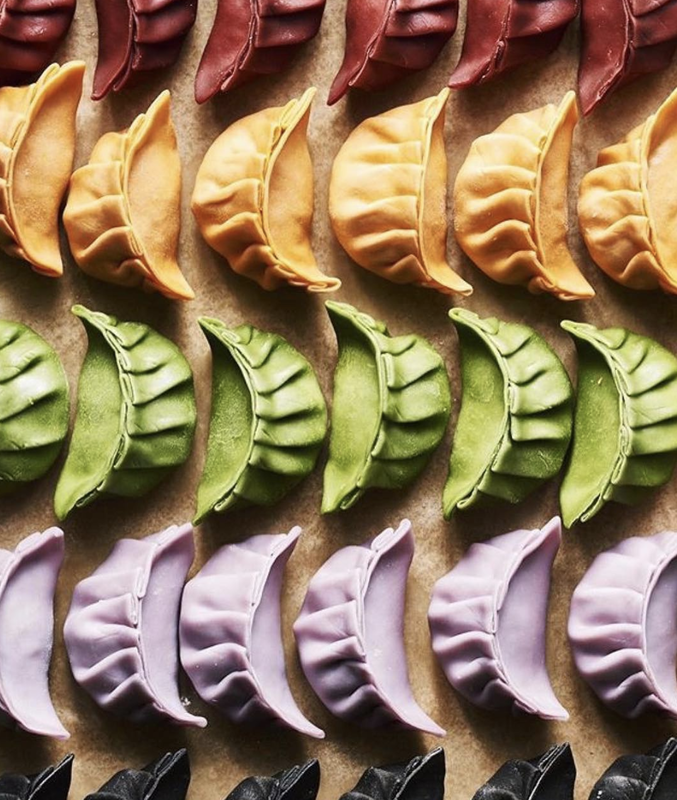 Spice up your life by loading up on naan, biryanis, and a few choice curries, and you’ll be ready for whatever else your day/night has in store. Got an insatiable appetite for fiery food? Shalimar is another good spot for Pakistani-Indian cuisine. You need both their delectable naan and tender, tandoor oven-smoked chicken in your immediate vicinity ASAP. Also it’s not a bad place to try goat for the first time, because contrary to popular belief, not all new meat tastes like chicken. Their goat actually tastes rather goat-like. Popsons does excellent burgers (unsurprisingly, since it’s from geniuses behind Causwells). The place is a cut above your average burger spot, but not so upscale that you’ll be handed a steak knife to perforate your patty, or a $25 bill. Order at the counter and your burger will be ready tout suite. We usually go with a double cheeseburger, or the “savory burger,” loaded with mushrooms and delicious truffle cheese. Don’t skip the fries either. It’s not the best place for a leisurely meal, but it’s perfect for a quick bite of hunger-busting goodness. Hakkasan San Francisco overlooks the bustling Market and Geary Streets, and benefits from natural light during the day and softly-lit hand-blown glass pendants at night, with an impressive bronze V-shaped bar as the restaurant’s centre piece. Featuring two private dining rooms, the menu includes Hakkasan signature dishes as well as an extensive tea menu and innovative cocktails made with hand-pressed juices. If you need a work ‘power-lunch’ near Union Square, head to Bluestem. Sure, the inside looks like a hotel lobby and the solid burger is $18, but you’re here to make new deals, break new employees, and convince suits that your new ICO that will revolutionise banana stands forever. The duck confit salad and brussels sprouts are good moves, and happy hour runs until 6:30, making it a good place for cheap post-work snacks if you’ve missed the week’s sales targets. This could be the perfect spot for outdoor happy hours and work lunches. You’re here for tacos, bowls and burritos, and you can’t have a better al fresco meal anywhere near Market Street. The inside is spacious too, and perfect for groups looking to either grab a quick, polite meal or get crazy with more tequilas than you can muster. 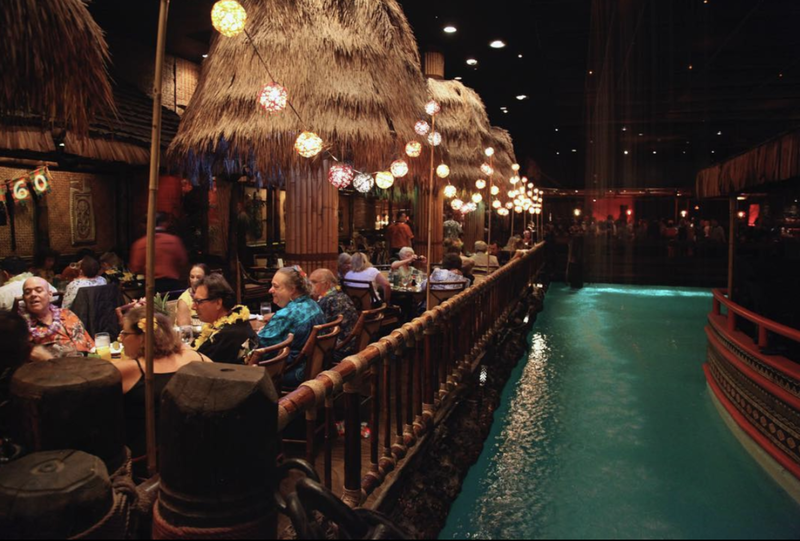 Do you dream of tiki drinks and ukuleles? Then head to this institution in the basement of The Fairmont, the fanciest hotel in town. The tropical cocktails such as Mai Tais, Margaritas and Mojitos, along with more rum-based drinks than you can shake a tiny umbrella stick at are the reasons you stay here. The food won’t blow your mind, at least not until your fifth cocktail, but it’s better than one might expect from a place with a pool in the middle and staged rainstorms blasting inside. This is our happy oasis for when we aspire to be tourists in our own city. An all-day breakfast that’s not a McMuffin isn’t the easiest thing to come by in these parts. Luckily, Workshop exists. This place has good coffee, strong wifi, and scrambles, bagels, and breakfast tacos all day long. It’s one of the rare places in FiDi open late-ish (until 9pm), and the healthy bowls and salads are great lunch and dinner options if you’re feeling guilty. Be warned though - people come here to get sh*t done - so a prolonged gossip session may result in dagger eyes cast in your direction. We’re glad the people behind the original Delarosa (a beloved Marina pizza and small plates spot) had the good sense to set up this outpost in an area that is generally devoid of decent food, as most financial districts tend to be. The downtown location has a nice outdoor patio in a pedestrian area off Market Street, and is one of your best options around. Whatever you do, get the burrata bruschetta. Life begins at the bruschetta. You’ve most likely seen pictures of Mr. Holmes and their “I Got Baked” sign. For those unfamiliar, no it’s not a place to get high, and to try it would likely result in ejection, but if you like delicious pastries, the is the place to go. From cruffins, to croissants, to some of the best chocolate chip cookies in the city, if you’re sweet tooth is craving some action, give it the attention it deserves here. Ryoko’s is not glamorous or fancy. There is no omakase. But the sushi is fresh and there are lots of roll options - we’re partial to the Orange Delight, an avocado/cucumber roll topped with salmon. If you stay late enough, it becomes a karaoke party. Do with that information what you will (we recommend Hungry Eyes from Dirty Dancing). Need proof that Yan Can Cook? Just snag a table at the famed PBS chef’s elegant restaurant. Housed under the dome of the Westfield San Francisco Centre shopping mall, M.Y. China is a dark, sultry space full of posh Chinese furniture, antiques, and dramatic lighting. Shopping-weary patrons fill the dining room, whereas chowhounds hit the exhibition counter to watch the staff masterfully hand-pull noodles and toss woks. The menu reads like an ode to regional Chinese cuisine, spanning chewy scissor-cut noodles with wild boar, fluffy bao stuffed with sweet and smoky barbecue pork, and, when it's in season, delectable pepper-dusted whole crab. Be sure to order strategically, as you'll want room for the flaky, buttery, creamy, and outright superb Macanese egg tarts. Need your java fix? Mazarine’s is a good option for a perk-up coffee on Market Street. 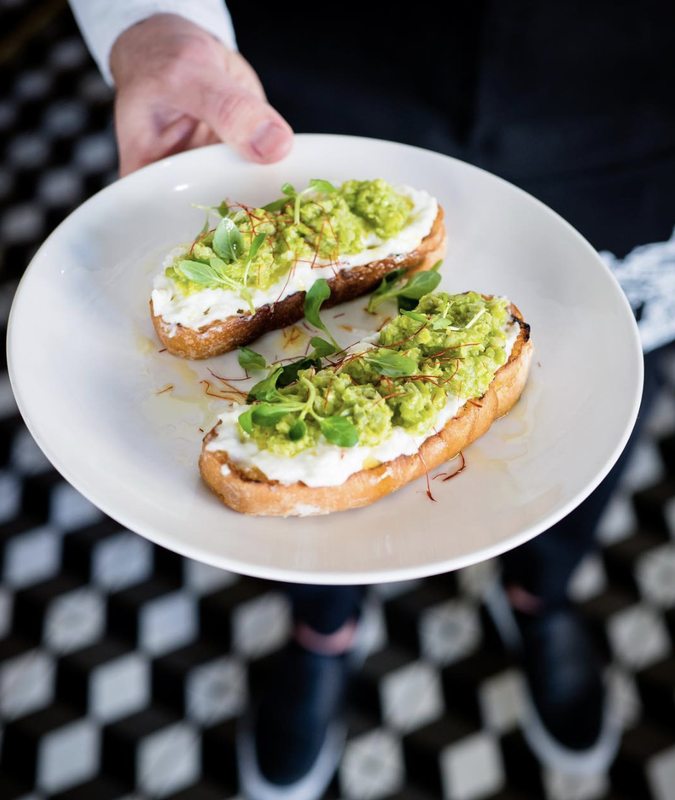 The toasts are also worth your time, especially the avocado or fig jam and ricotta versions, and both breakfast or lunch here is very much the right choice, unless it’s night time of course. 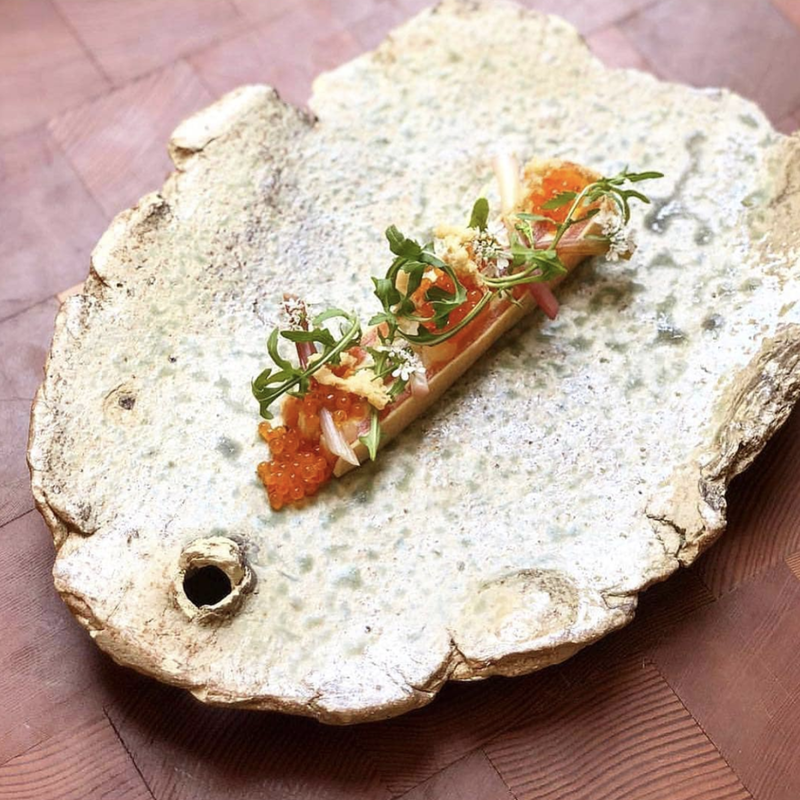 The crew behind Sons & Daughters delivers some fancy dishes and molecular gastronomy, but you don’t feel like you’ve got lost in a chem lab while you’re eating here, and Walter White is nowhere to be seen. The food is incredible, and if you’re a planner, you should absolutely make an advance reservation for their $175 tasting menu. 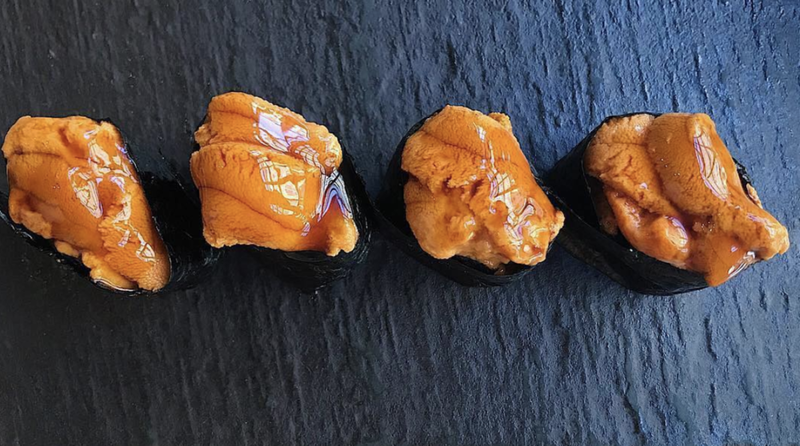 If you’re taking clients (or yourself) out, go for the omakase at Akiko’s Restaurant. You can eat amazing fish and drink top-shelf sake here, provided you are okay with a top-shelf price to match. Just make sure you go to the right place: you want Akiko’s Restaurant, not Akiko’s Sushi Bar, another spot confusingly close by. If you’re still confused, just order the most expensive sake they have and see if your wallet is empty afterwards. Afraid of sharks? So are we. Like, refuse to swim in the ocean afraid. We blame Spielberg in the late 70’s. Thankfully though, this Hawaiian restaurant on the Tenderloin border has no sharks, but their incredible fried chicken, beef tongue buns and tropical cocktails will make you open your mouth as wide as Jaws. We’re big fans of this place, and come for birthday dinners, snacks, drinks with out-of-towners, and really any other reason we can possibly think of. There’s also a reservations-only bar (Louie’s Gen-Gen Room) downstairs. Dive in and do the biting yourself. While this isn’t the closest Thai food to Union Square (that’d be Kin Khao), it’s walkable (joy), and it’s by far the best option (win). The fried pork ribs and stir-fried pork belly are top of our list. Have we mentioned we like fried meat? PS fried meat. Once you’re inside this place, you have several levels to explore, with tons of TVs, the game selection of a Dave & Buster’s, and a strong, IPA-heavy beer list. It’s like a man cave, except we’re in woke 2018 now, so it’s a people cave. The wings and quesadillas are better than average, too. Come to hang out with coworkers, or bring a big group that wants to watch and holler at sports. Thank god the good people of the Del Popolo pizza truck finally settled down in one place. Meals on wheels has become meals on bricks, and the guys at Google Maps can finally rest easy that they know where to mark them. They have incredible wood-fired pizzas and a great wine selection. Get a seat at the bar to enjoy them both. Like its sister spot on Fillmore, Jane on Larkin serves some of our favorite lattes, granola, breakfast sandwiches, and avocado toasts in the city. The baristas are friendly, and if you feel like hanging around for a few hours and ordering lunch too, you won’t be making a mistake, unless you miss work to do so, then you probably will be. Shrimp and grits, cornbread, fried chicken, and black-eyed pea fritters: the South has arrived in San Francisco, and while our arteries are fighting it, we’ll show them who’s boss. Get everything we just mentioned, and you’ll be a happy camper, and an extremely full one too. There’s plenty of time to appease those pesky arteries at a later date. Stroll down to the Blue Bottle at Mint Plaza for some delicious pour over coffee and their own take on $4 toast, or the killer granola served in a mini mason jar. The eggs with cauliflower (plus bacon, unless you hate life) are also strong. Press Club, off Market Street, is a dark, upscale spot to get a drink without committing to a sit-down dinner with people you barely know. Colleague from Phoenix in town? Go here. We’d definitely recommend the meat plate and as many cheeses as your party feels comfortable ordering. Hopefully you don’t have to itemize your expense reports. This place is fancy in a way that feels slightly corporate, and it’s pretty expensive, but the Moroccan food is really, really good, so that cancels almost everything else out. Get one of the large-format meats and everyone will go home happy with some hearty Moroccan meat sweats. Taqueria Cancun serves one of the top five burritos in SF, and they don’t need succulent or fancy tiles to bring people in, the burritos do that on their own (also surely the word ‘burrito’ alone is enough to entice anyone in). Plus, this place is open until 10:30pm every night. What else do you need? (11pm opening you say? Get outta here with your late night debauchery). There are lots of vegetarian and even vegan options for rice bowls and takeout sandwiches at this casual Vietnamese spot. We’re partial to the smoky eggplant and crispy catfish sandwiches, or the hawker bowl if we feel like keeping our hands relatively clean, but there are always wet wipes if you don’t, or just greet people with a catfish handshake, maybe it will catch on. Have you ever wished San Francisco were more like other American cities - especially like, say, New York City? Relive the claustrophobia, condescending service, overpriced cocktails, and “French bistro” food of your two years in Manhattan at the Cavalier. OK, perhaps we’re being too harsh, as the food is often pretty good here. More importantly, the scene is wildly entertaining. Just be prepared to be the least well-dressed person in the room. Actually you may as well admit defeat now and wear flip flops and a hessian sack. Now this is a cocktail bar we can get behind. And in front of. Basically all over it. It’s relaxing, with a vaulted space reminiscent of the Art Deco era’s greatest achievements. Order a beverage (or three), especially anything with calvados, cognac, or armagnac, and don’t skip the outstanding charcuterie.